Mac OS X 10.11.5 El Capitan final download is now available through the Mac App Store. Here’s everything that is new. Regardless of what type of update a company pushes out for their device, we highly recommend that everyone goes ahead and install it straight away, with OS X 10.11.5 El Capitan being no exception. The update focuses on bug fixes and performance enhancements which might not sound much to the average user, but nonetheless are important fixes to have under the belt. Fixes an issue where applying a configuration profile to set ShutDownDisabledWhileLoggedIn to Truewould have no effect. 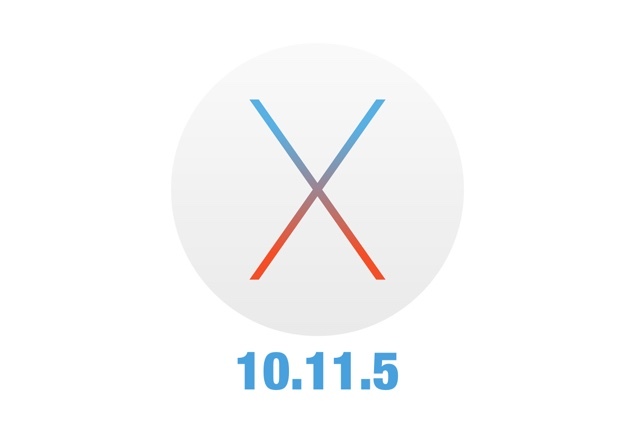 If you have a Mac running El Capitan, then updating to the latest OS X 10.11.5 release is as easy as pie. Simply launch the Mac App Store while being connected to a WiFi network and click on the ‘Updates’ tab at the top. You’ll see the latest OS X 10.11.5 El Capitan build immediately available for download. Also keep in mind that the completion of the installation will require you to restart your Mac hence save everything which you might have open and then go ahead with the entire process. We’re quite certain that this isn’t the last update to El Capitan Apple will be pushing out to end users before it ultimately unveils OS X 10.12 to the public next month. After all, OS X 10.12 will be released to the general public for download later this year, which means El Capitan still has a long way to go before Apple buries it in the background. It’s being rumored that OS X 10.12 will bring with it Siri to Apple’s desktop platform, but how will the assistant integrate into OS X still remains to be seen. Nonetless, we’ll keep our eyes wide open for more details regarding OS X 10.12, while everyone else is requested to update their Macs to OS X 10.11.5 in the meantime.